Every day we work with the responsibility of serving as aviation’s last line of defense. And every year we remember why. Nothing unites us more than honoring our heroes. No matter the uniform we wear, the routes we fly, or the years we have worn our wings we will always remember the events of September 11th and cherish our heroes. Our union encourages Flight Attendants around the globe to wear a black ribbon under your AFA pin and join us for a moment of silence and quiet reflection at 8:46 AM Eastern Time on Tuesday, September 11th. Continue to wear your pin or black ribbon throughout the month of September. This day highlights the tremendous bravery of Flight Attendants. Our heroes on those four fateful flights acted as first responders. 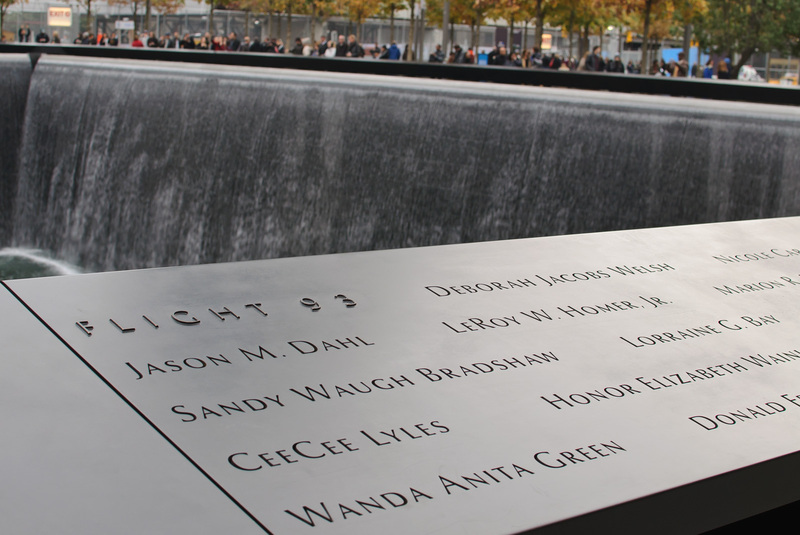 They relayed the first intelligence of the day that alerted our nation and our fellow crewmembers on flight 93 who in turn acted without reservation against evil, sacrificing their own lives to protect our country and the lives of countless others. The incredible pain of mourning for our dear friends also inspired new acts of heroism as our profession changed forever. In our Flight Attendant union we found comfort in one another and the courage to get back on airplanes to usher passengers and fellow crewmembers home to their loved ones. Every day since September 11th, we know that not only are we first responders to emergencies affecting the health and safety of our passengers and other crewmembers, we are also our nation’s last line of defense in aviation security. Our third annual AFA Honor Guard will attend services at our nation’s three national memorials to ensure the public remembers the sacrifice of Flight Attendants. This Honor Guard is comprised of Flight Attendants who have done work to advance our legislative agenda to Never Forget. Seventeen years ago we made the commitment to gain the resources and recognition to support our work as first responders and the last line of defense. Any member who volunteers time on our Never Forget security initiatives throughout the year may be eligible to serve in future Honor Guards. AFA’s on-line memorial, Never Forget, includes a listing of memorial events and services around the country, and features a page where you can share your thoughts, memories and tributes. AFA Officers will attend remembrances around the country. We welcome you to join our AFA Honor Guard at one of the national memorial sites, or join us for another remembrance service. Whether you choose to fly in tribute to our heroes or to recognize the day in some other way, know that you are part of a Flight Attendant family, and that through our unity, we are strong, resourceful and resilient. Never Forget that it is our unity, our compassion for one another and our resolve to protect all of the freedoms of individual expression that make us strong. We will never forget our heroes and we will always seek to honor their sacrifice with our actions – not only through our work for safer skies, but in the way we contribute to each of our communities at home and those that we visit around the world.